Pestilent Spirit ($0.20) Price History from major stores - Ravnica Allegiance - MTGPrice.com Values for Ebay, Amazon and hobby stores! 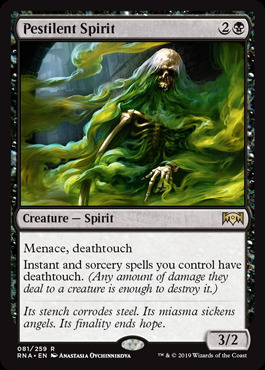 Flavor Text: Its stench corrodes steel. Its miasma sickens angels. Its finality ends hope.